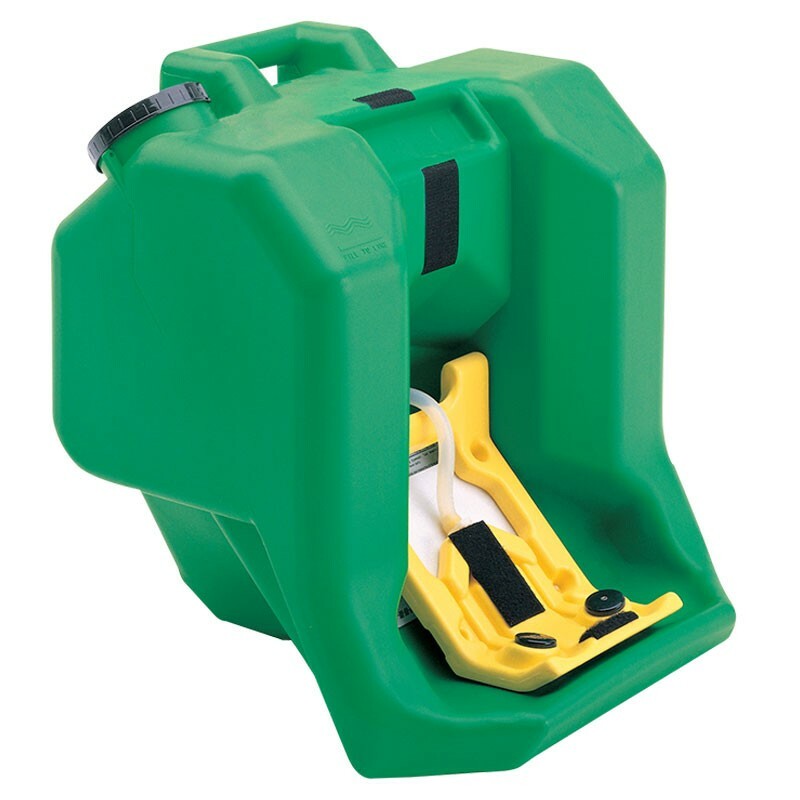 Haws Portable Emergency Eyewash Station Model 7500 is an ANSI approved eyewash station ideal where plumbing for a plumbed in eyewash station is not possible. It is a 16 gallon eyewash station that uses gravity to supply a continuous flow of clean water to an injured worker for a full 15 minutes at .4 gallons per minute (gpm). It is an economical way to deliver eye-saving rescue when the need arises due to chemical splashes in the eye or particles accidentally caught in the eye. Features a wide-fill opening with threaded cap that permits easy inspection, cleaning and filling. Can be relocated easily due to the mounted (bracket included) and light design of this 16 gallon portable. Dimensions: 22-1/2" high, 21-1/2" wide, 19-1/2" deep. Purchase Bacteriostatic Solution below which comes in a case of 4 - 5 oz. bottles. One bottle preserves the water for 3 months.